Sail Into Life is conducted by the Rotary Club of Busselton-Geographe with support from the Rotary Club of Margaret River. The two clubs joined together to create the program to celebrate the centenary of Rotary International in 2005. 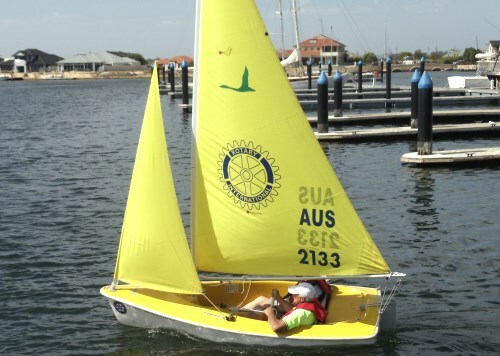 People with disability, or those who have never been sailing and are not sure where to start, can experience sailing in special access dinghies and learn the fun and skills of action on the protected waters of Geographe Bay Marina. Young sailors from Margaret River travel to Busselton regularly to participate. One of the vessels is named the Lady Margaret to acknowledge our club’s ongoing support.